Mix the plain flour with coriander powder, paprika, garam masala, orange pepper and garlic powder in a mixing bowl. Toss the halloumi pieces into the flour mixture until well coated. Heat the oil in a frying pan until about 175°C. Carefully lift out one third of the halloumi from the flour and lower into the oil, cook for 2 minutes until crisp and golden and drain on kitchen towel. Repeat the process for the remaining two thirds of the halloumi. To make the spiced lemon mayo, mix together all the ingredients, combine well and garnish as desired. 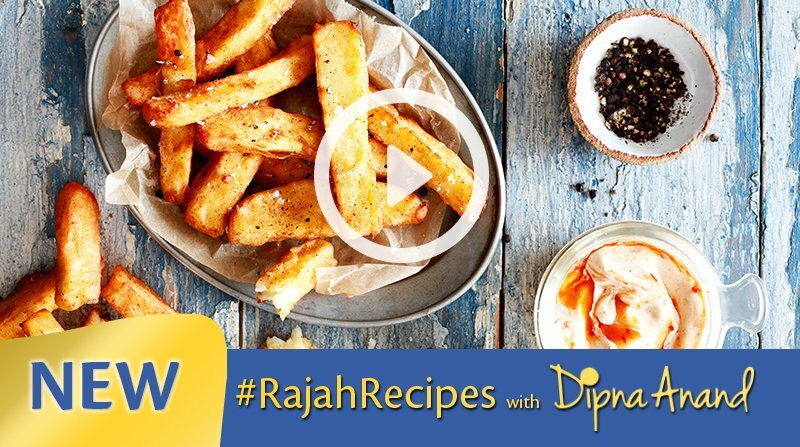 Serve the halloumi fries with the zesty spiced mayo.